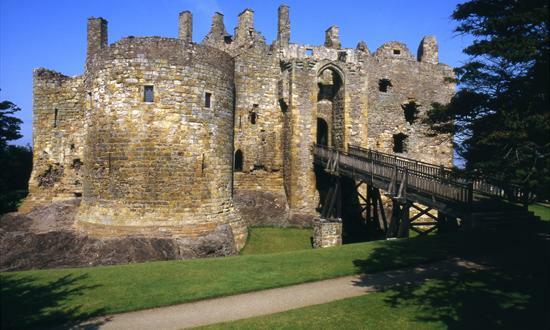 For 400 years, Dirleton Castle stood as a magnificent fortress–residence for three successive noble families. It was badly damaged during Cromwell’s siege of 1650, but its fortunes revived in the 1660s when the Nisbet family built a new mansion close to the picturesque ruins. They also resuscitated the splendid gardens, which now include the world’s longest herbaceous border.